Me SP & the Bean. : hello from out west. Yes, I have been slacking off. Bean and I left poor papa to work and flew out west to see jiji & baba. even when you've become a mama yourself. Kudos to my girl for being so good during the flight, even though we were stuck on the sold out plane for an extra hour (totalling about 7 hours in that tiny seat). Thank you Edmonton for all that snow/ice. A small kudos to myself for fitting everything into one carryon and managing to hold/feed Bean without exposing a nipp to the large dude (2 large dudes) sitting next to us. 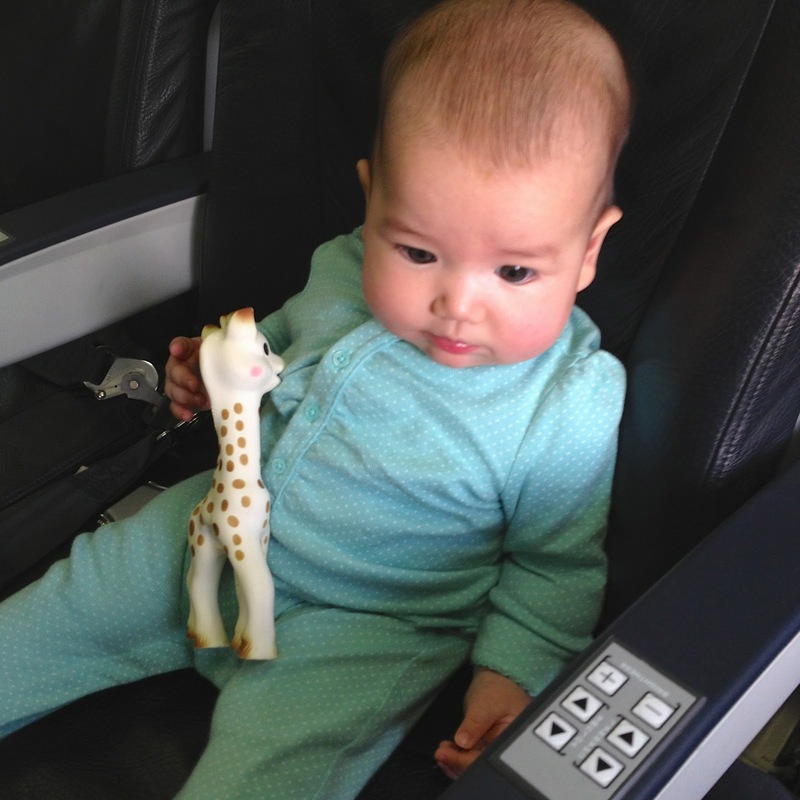 Oh, and for managing to change diapers in the ridiculously small airplane bathroom without any accidents. We barely fit. Seriously. I can't imagine being in there when she gets any bigger. We'll just enjoy it for now though.